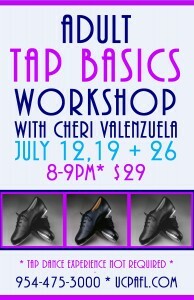 3 Weeks Adult Tap Basics Workshop with Cheri. ONLY $29. Call for details. 954-475-3000 or Click HERE to enroll ONLINE!